Set in the 7th district in Paris, Hôtel Le Beaugency is located just 1 km from the Eiffel Tower and 270 metres from Ecole Militaire Metro Station. It has a 24-hour reception, and free Wi-Fi is included in the non-smoking guest rooms. 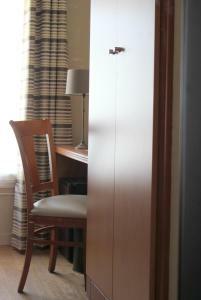 Each air-conditioned room has a minibar and features wooden furnishings and brightly coloured fabrics. 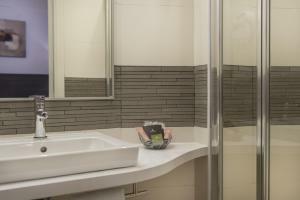 The en suite bathrooms are fitted with a hairdryer. Enjoy a continental breakfast including French pastries and hot drinks every morning while reading the newspapers provided at Hôtel Le Beaugency. A minibar, satellite TV and free Wi-Fi are included in this room. Rate: € 100.00 ... € 186.00; select dates below to get current rates. A minibar, satellite TV and free Wi-Fi are included in this room. The private bathroom has a bath. Rate: € 148.00 ... € 175.62; select dates below to get current rates. This air-conditioned room features a private bathroom with a separate toilet and a bath or shower. Composed of one double and one twin room, these 2 adjacent rooms feature a minibar, air conditioning and satellite TV. This triple room has air conditioning, minibar and flat-screen TV.